The Trestle 118” Gathering Table is made with pine wood that has been distressed to enhance the grain, knots, and other natural variations in the material. 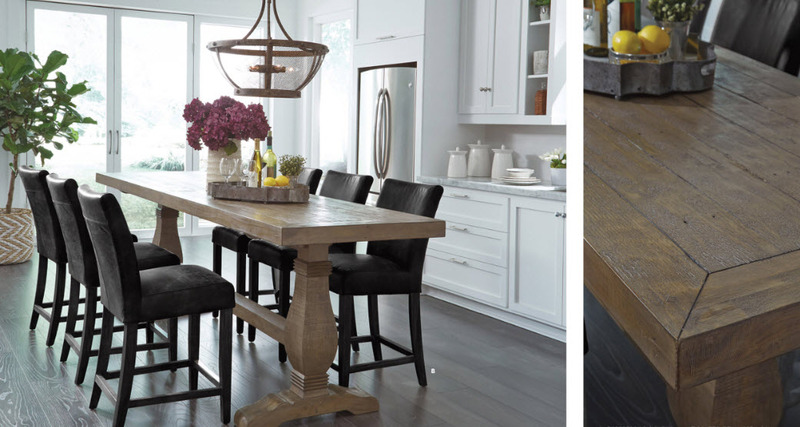 The gathering table’s trestle base adds a classic design element, while its solid wood construction ensures durability. With seating for up to eight people, this timeless gathering table is a versatile and attractive dining option.